More than 4,500 people are currently incarcerated in Wisconsin prisons for a revocation without a new conviction. 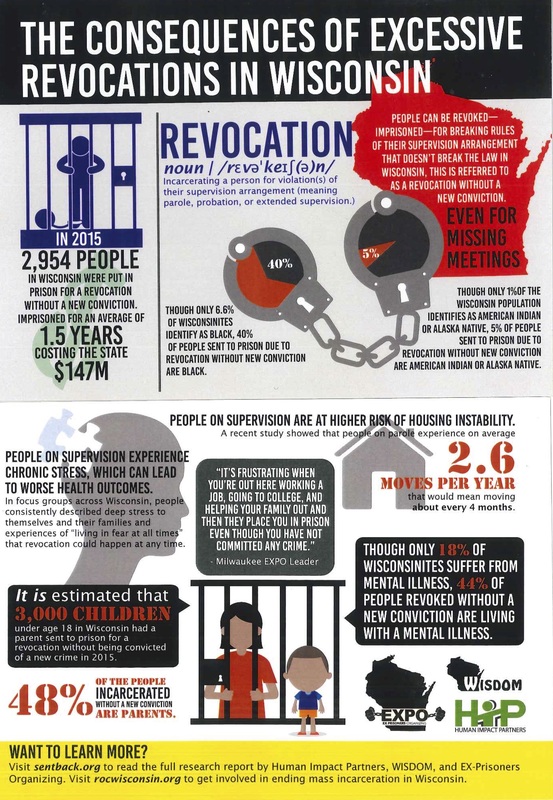 Each year, thousands of others are held temporarily in county jails or the Milwaukee Secure Detention Facility (MSDF) while their agents investigate alleged rule violations. Wisconsin could literally close MSDF and other prisons by transforming its unjust revocation process. Join us for a special event that will examine the consequences of excessive revocations in Wisconsin. At this forum, civil rights leaders, EXPO leaders, and State Representative Evan Goyke will present on various aspects of the revocation process in Wisconsin. Candidates for Governor and Lieutenant Governor have been invited and will be given an opportunity to respond. 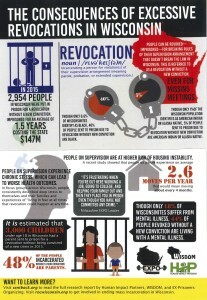 Learn more about the problem of excessive revocations in Wisconsin here.